-Village of Warrens which hosts a huge Cranberry Festival each year. -Cranberry beds and bogs visible along the route. -The Black River State Forest. 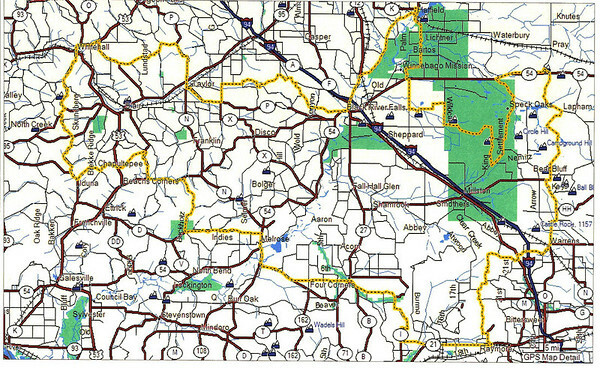 -The portion east of I-94 is part of the Central Forest of WI and hosts several packs of wolves. 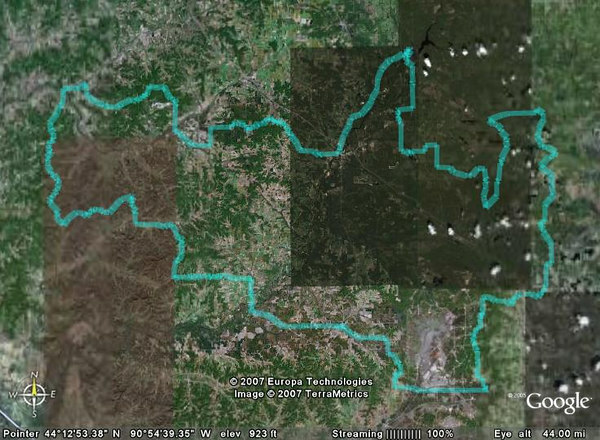 Over the years I have spent a lot of time in this area dirt riding and ATVing. 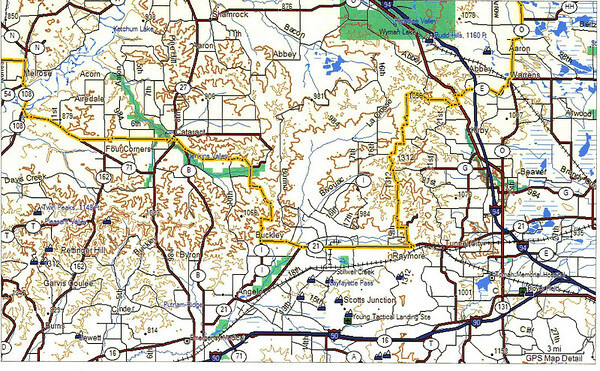 The state and county forests (Jackson and Clark) host ATV and off-road motorcycle trails. Before you get tempted to jump on a trail, check for permit requirements and take note that many of the trails in this area are loose sand. Also take note that I collided with four deer in my lifetime and three were within 25 miles of Hatfield (two were during the day and hit me from the side so be alert all the time). -There is a lookout tower in the state forest. -There is a fire tower atop Saddle Mound that you can hike to. -The route goes past a closed iron mine that is now a scuba park. -There are many scenic rivers and flowages along the route. -Hatfield is a tourist town with several county parks along Lake Arbutus. 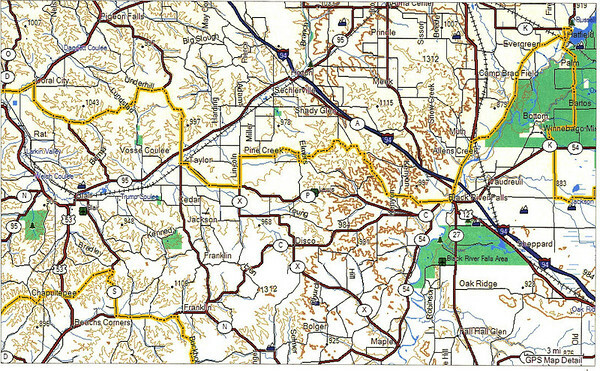 It is also the connector for the Jackson County and Clark County ATV trails so look for ATVs along the highway as you go through town. -As you travel from Hatfield to Black River Falls there is a paved canoe landing (marked) along the north shore of the Black River that is worth a stop. -Stop for lunch at Mollys Grill in BRF. It is listed in the top 50 taverns in the state. Great chicken dumpling soup. -On the west side of I-94 are some great twisty roads and elevation changes. -You will cross the black river again near Melrose where it is known as a sandy river that is great for canoe trips and canoe camping. 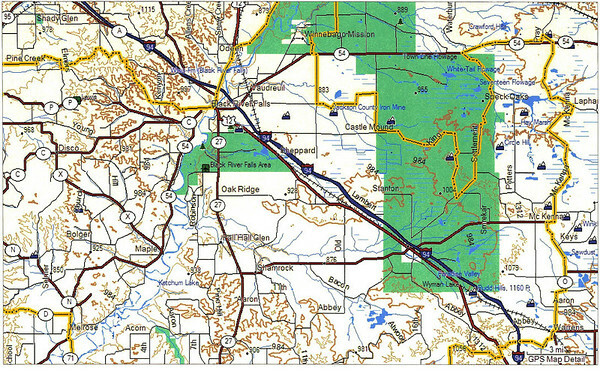 -The route will take you through the middle of Fort McCoy (on a state highway). There may be overhead firing of artillery and tactical vehicles crossing the highway. 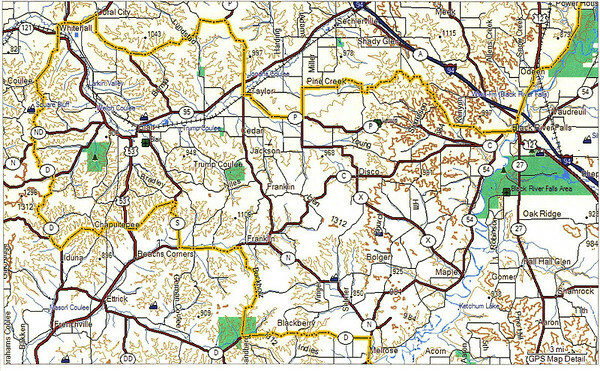 -The route takes you up the east edge of Fort McCoy and back to the Warrens exit on I-94. -Camping is available at Warrens or in the State/Co forests. Added a Route to the GPX. Cut track into smaller segments. Replacing lost file. 3,770 views on my previous track catalog site. Did not record the downloads.